In his first visit to Amethi after assuming office, Prime Minister Modi said the district would now be known for the defence project “not for its high-profile political leaders”, in an apparent dig at Congress president Rahul Gandhi. 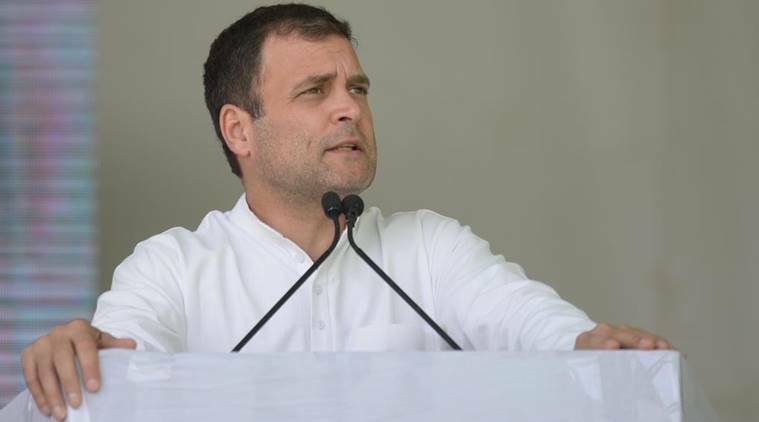 Congress president Rahul Gandhi Monday accused Narendra Modi of peddling lies a day after the prime minister claimed that since its inauguration in 2010 “no rifles were made” at the ordnance factory in Amethi, the former’s Lok Sabha constituency in Uttar Pradesh. “Dear Prime Minister, I, myself laid the foundation stone of the ordnance factory in 2010. In the last few years, the factory has been manufacturing small weaponry. You went to Amethi yesterday and by force of habit, you lied again. Do you have no shame at all?” Gandhi tweeted. क्या आपको बिल्कुल भी शर्म नहीं आती? In his first visit to Amethi after assuming office, PM Modi on Sunday said the district would now be known for the defence project “not for its high-profile political leaders”, in an apparent dig at Congress president Rahul Gandhi. The Congress president has been alleging that the Centre stalled various projects in his constituency since the BJP-led government came to power.